The proliferation of “fake news”—be that the insult lobbed at journalists and publications that President Donald Trump and his administration detest or the websites peddling false information across the web to make a quick buck—has brought about a wave of advertising from news media organizations looking to underscore the value of responsible journalism. Earlier this month, Gannett became the latest publisher to release a campaign touting its publications’ efforts and showing how they had impacted the communities they cover. Gannett’s campaign, which highlights the work of local papers like The Tennessean or the Milwaukee Journal Sentinel, was created by its in-house marketing team and will be running across Gannett’s digital network (the USA Today Network has 110 million unique visitors per month) and print properties (the company has in excess of 3 million print subscribers). 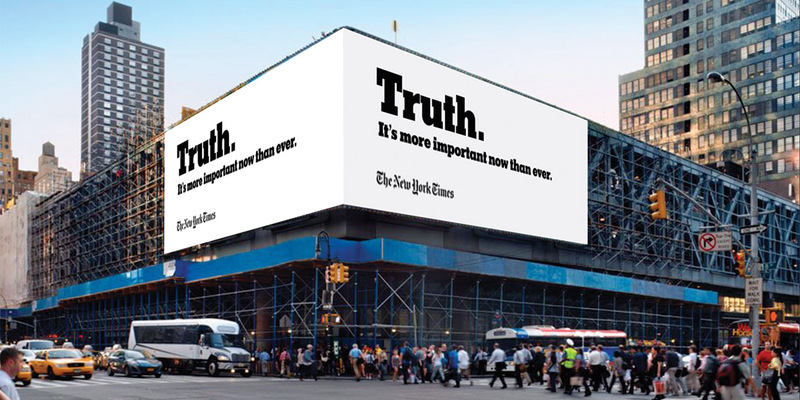 Gannett certainly isn’t alone: In recent months media brands like The Atlantic, Vanity Fair, The New York Times and WNYC have released their own advertising campaigns. 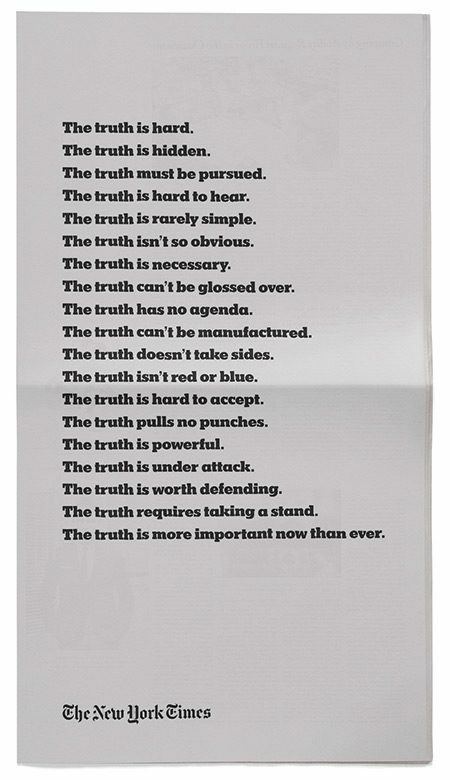 In March, WNYC released its latest ad campaign, from its creative agency Eyeball, which included lines like “Fake news is nothing new, but it’s still fake,” and “Tweets are not the whole story.” The effort is “purposely provocative, playful in tone and meant to attract attention to get people to listen in,” noted Weingard. 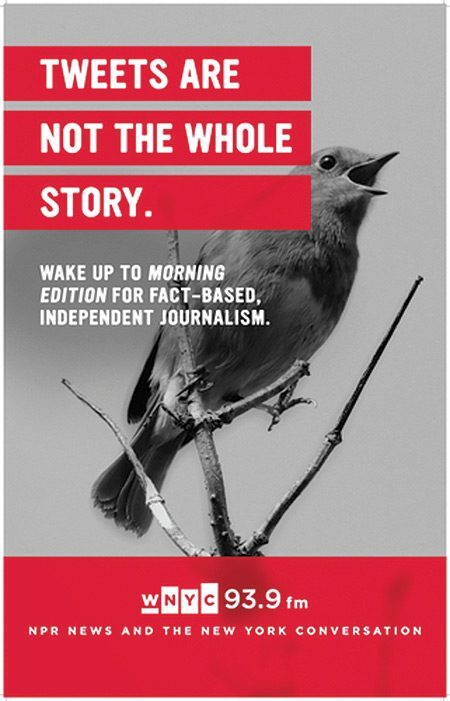 The latest ads, which were placed on Metro North and subway cars, bus shelters and even a Times Square billboard, told consumers to “Wake up to Morning Edition for fact-based, independent journalism.” Listeners for WNYC’s combined AM/FM and digital streams are up 28 percent year to date, according to Weingard. For some media brands, like The Atlantic, a branding campaign has been in the works for quite some time. Nearly three years ago, the 160-year-old publication tapped Pereira & O’Dell to come up with a brand strategy, and early last year began working with Wieden + Kennedy in New York on its “Question Your Answers” campaign. In February, it released a short film, Am I Typecast, starring actor Michael K. Williams that has garnered over 10.5 million views. Soon after those assertions—which Vanity Fair digital director Mike Hogan called “totally unfounded”—were made, the publication found that people had begun rallying around the brand on social media. 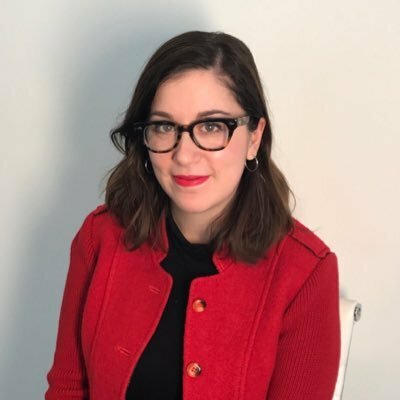 That’s when the editorial team decided to flip Trump’s language on its head, tweeting “Vanity Fair: big success, way up, alive!” After seeing the success of that tweet, which garnered over 2,000 retweets, the team decided to run ads that read, “Vanity Fair: ‘The way down, big trouble, dead!’ magazine that Trump doesn’t want you to read,” via paid social on Facebook and Instagram. 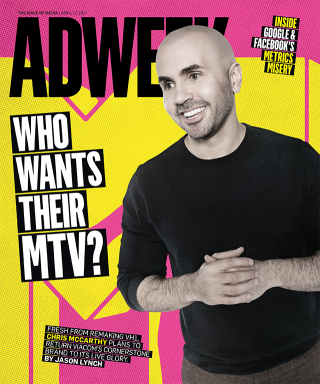 This story first appeared in the April 17, 2017, issue of Adweek magazine. Click here to subscribe.